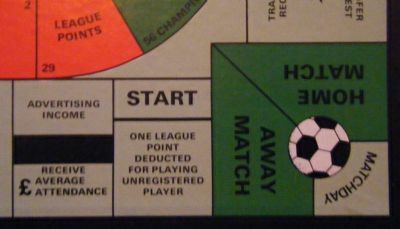 A complicated board game at one time endorsed by Kevin Keegan. 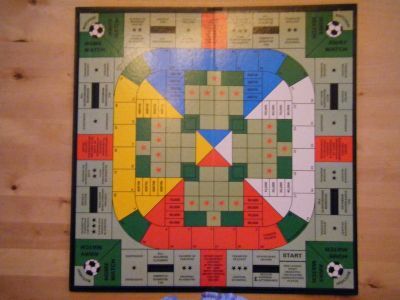 Bright and colourful but with a very odd scoring system. 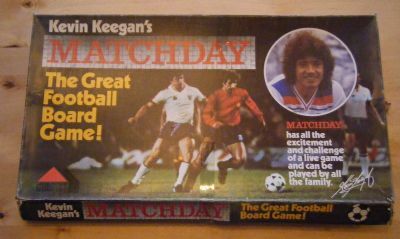 This is the early edition of Matchday prior to becoming endorsed by Kevin Keegan. 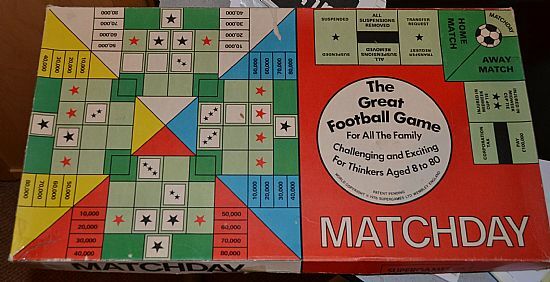 Made by Supagames it is just about identical to the later version. A bag of counters and cards that were originally on punch out sheets. 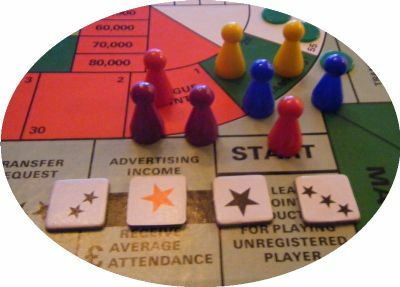 The star cards are for a scoring system far too complicated to describe.